Household appliances are major purchases for any homeowner. 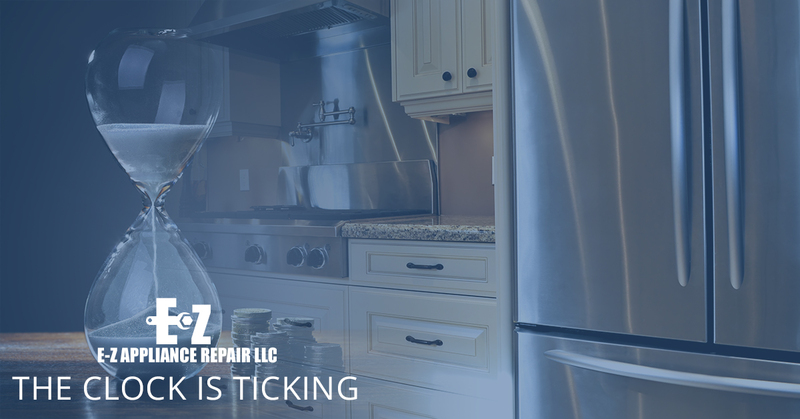 If your refrigerator or stove breaks down beyond repair, you will be shopping for a new refrigerator or stove sooner than later. And while you may have budgeted for Horsham appliance repair, you may not have budgeted enough to replace an appliance. You don’t want to be caught off guard and left high and not dry when your clothes dryer suddenly goes on the fritz, permanently. To better predict such disasters, knowing how long you can expect an appliance to last is essential. As a general rule, the lifespan of any household appliance varies accordingly to its upkeep and use. That is, your garbage disposal will last longer if you properly maintain it and don’t use it 20 times a day grinding down chicken bones. So a washing machine owned by a bachelor who lives all alone will last a lot longer than the washing machine owned by a family of six, with two dogs. It also matters how well you care for your appliances. A clothes dryer that has the lint trap regularly cleaned will last longer than the one that never gets cleaned. Anyway, here is a handy little guide to the average lifespan of appliances and some tips for getting the most from these pricey purchases. The top end of the life expectancy of a refrigerator belongs to the old-school single-door units that you just don’t see a whole lot of anymore. You can expect side-by-side models to last 14 to 17 years. Minor repairs to failed gaskets and malfunctioning ice makers can be expected, but a broken compressor usually means the end of the road for a refrigerator. To help extend the life of your refrigerator, clean the condenser coils at least once or twice a year. Coil brushes can be bought to help with this task. The life expectancy of your clothes washer depends greatly on how much you use it. A large family who runs eight to 10 loads a week can expect their washing machine to last about 10 years. Front-load washers can develop door leaks and gaskets may have to be replaced. Try using bleach to remove odors, hard water and other buildup. Gas stoves will usually outlast their electric counterparts by an average of three to five years. Keeping your stove clean and free from buildup will extend its lifespan. If you have a gas stove, clean the burner ports regularly with a straight pin to prevent clogs. Newer dishwashers have added features like electronic readouts that can potentially break. Run your dishwasher regularly to keep the seals, gaskets and hoses from drying out and cracking. Staying on top of the maintenance will prevent your dishwasher from having big problems down the road. Just make sure to keep both the inside and outside clean and you should have little problems with your microwave. Put a couple of paper towels in a bowl of water with dishwashing liquid inside and run on high for about a minute. This will loosen food particles and make cleaning easier.